Little needs to be said about the controversy surrounding Diablo: Immortal at this point. In fact, I’m pretty sure too much has been said about how “betrayed” people feel about Blizzard making a Diablo game for mobile platforms and not enough about how it actually plays. 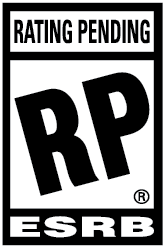 Despite my initial feelings, I wanted to reserve judgement until I’ve actually played the game. I had a chance to test out the demo on the BlizzCon floor, unsurprisingly with no wait time. Each of the demo stations was running the game on the latest Samsung Note, a device with perhaps a larger screen than most people have. Only three classes were available for the demo: monk, wizard, and barbarian. As I did in D3, I chose monk for the test drive. The first impression after character selection is strikingly reminiscent of Diablo 3. It looks and sounds very similar, but the UI is redesigned for thumbs instead of keyboard or controller output. After a quick tutorial explaining the movement and targeting mechanics, you’re placed in a field that reminded me of the Fields of Misery from Act 1 in D3. The enemies you encounter in the demo are familiar demons and beasts, nothing too groundbreaking or difficult to fight. As the monk, I had a fairly intuitive combo in rotation; I’d use a skill to draw enemies close and use my Seven-Sided Fist to burst them down. I also had a charged ranged attack that could be aimed while moving and a dash with three charges. All were accessible under my right thumb as well as an infinite health pot that was on cooldown. The two in-place skills were obviously easy to cast, but what I was interested in was how consistent I could be with the aimed abilities. The charged attack had a nice reticule and often it would behove me to charge it up for maximum damage, thus giving me time to aim the attack. The dash was something I didn’t want to spend as much time aiming as I wanted to move around the mobs quickly. Admittedly it was a bit finicky at first as I would end up going about 30 degrees off from where I intended to go; however, with practice I was able to land my dash perfectly by the time I got to the boss. The last part of the demo featured a boss fight that could be done solo or in a group. There was nothing to indicate that the boss did or didn’t scale with a group of other people, but I think it’s safe to assume encounters with multiple people will be scaled. When I got into an instance with a wizard and two other barbarians, we fought through a handful of enemies and made it to the boss. Since this was a demo, I never felt like I was in danger of dying or felt any real threat. That being said, I did need to intelligently dodge the boss’s attacks and not just mindlessly tap away. 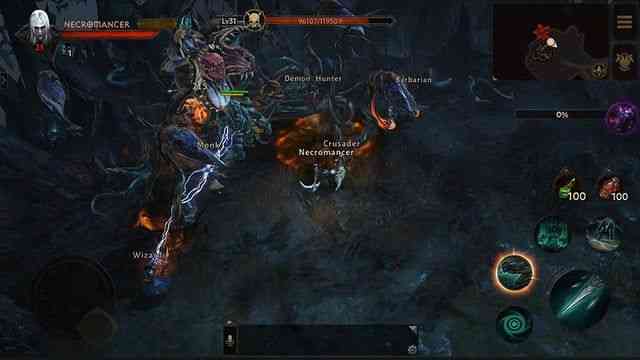 After we downed the boss, an eruption of loot spewed from his corpse in true Diablo fashion. 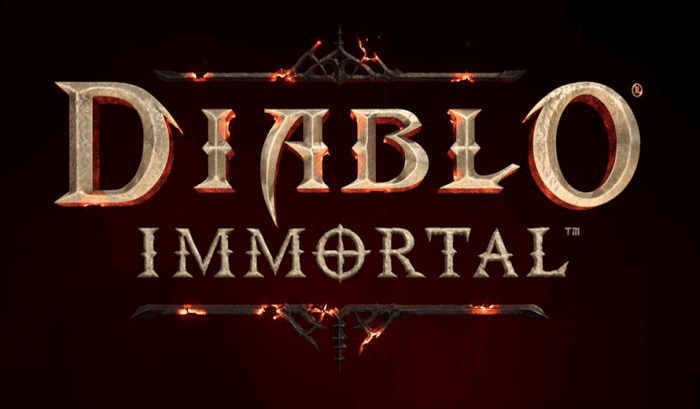 The demo felt good to play and honestly Diablo: Immortal felt like Diablo, but it left me with more questions than answers. Loot was dropping, but what sort of inventory management would there be? I was able to slot different skills in my loadout, but will there be more to choose from in the final version? What is the monetization model going to look like? There are still too many unknowns to definitely judge this game, but I enjoyed the demo. I’m still not sure if I’m the right audience for this game, but it seems like a smart way to engage a large population that might not have been exposed to the world of Sanctuary. At the very least, it will be something fun to do on my phone, as opposed to reading complaints on social media from entitled manchildren.